Batteur de Cure et de The Glove entre 1983 et 1984, Andy Anderson est pour les fans, l'un des meilleurs batteurs que Cure n'a jamais eu.. I first met Robert Smith and his Manager of the Cure, at Trident Studio's London, they had herd my playing on an album by a band called Brilliant that I was in, which was conceived by a bass player called Youth from Killing Joke, and also an album that I did with Jimmy Purcey of Sham 69, with Jimmy I did about two albums with him at the time. Robert had given me a cassette tape of the Cure, and went along for an audition a week later, and got the job with the Cure that same day. The Glove project came along some time later when the Cure had time off. I had meet Steve Severin off and on plus the Banshees and was asked by Robert and Steve to record drums tracks for their Glove album project, and the rest is history, it's a shame we didn't do more, I liked the music on that album a lot. It was a great period musically for us all and was great fun being a part of it. 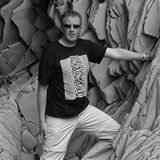 I was a session drummer before I started playing for these bands, Adverts, TV Singles and albums etc. and the process I use with new tracks is that I learn the songs to how they were originally written, then apply my own style and feel if there are strict parts that are needed, then I stick to that, most of the time I end up applying my own style and feel which seems to work, Love Cats comes to mind, as it is a jazzy type of track using brushes on the snare was an obvious choice, that worked. The first ever track I heard by the Cure was A Forest, and fell in love with it, haunting, great keyboards, great vocal and I really love Roberts guitar work on it. The drums are very straight on the track but that is all that is needed on it, if there was more it would sound far to messy. There are loads more tracks that I like by the Cure, another one that stands out for me is The Walk this one really stands out for me, these tracks remind me of the exiting early days with the band. All of the Cure sets that I did with them just sound great live, you can tell allot of that by the audience's reactions at every gig that the band perform at. I have not been to a Cure concert since leaving the band, after leaving the Cure I was out on tour with Jimmy Somerville, Levinhurst (Lols band) and also Iggy Pop and one or two others. I'm aware of there albums and singles tours etc. but have not been to any as yet. It's good to see the lads are still going strong and doing well. A Pink Dream: Your dynamic and subtle way of drumming made the drums sound very natural. Was there any effect added to your parts ? to your sound ? Andy Anderson: Drums live sound, is all just basic reverb mixing desk stuff and that was it. Nothing fancy at all. APD: What is your fondest memory with the band ? 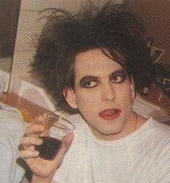 Do you have any anecdote from the time you were a member of the cure ? AA: My fondest memory was Robert and the band being asked backstage for an Interview before a gig in Germany, whether the reason for having a black guy in the band was to do with the fact that at the time we all wore mainly black cloths with silver and white shirts, the whole band said nothing, looked at each other, in disbelieve, and ended the interview there and then. APD: Which member did you best get along with ? APD: What did those years with The Cure bring you ? APD: I love the Cartepillar video. Can you tell us more about the making of this video ? AA: There's not much to say, other then it was Directed by Tim Pope and that it was filmed in Sion Park, West London, the park has it's own Sanctuary for Caterpillar's and Butterflies which appear in the video plus some local Chinese guy's with there giant Dragon, the whole video took a day to do. A great fun day out. APD: Did you keep a lot of keepsakes to remember? (like t-shirts, drum sticks, photographs, recorded gigs, and so on)? AA: Over the years I have lost a lot of my keepsakes i.e. photographs, recorded gigs, I only have a few pictures left now, but if anyone has any pictures or video's of me with the Cure, then please send then in. APD: I saw you’ve worked with numerous artists. Which collaboration/artist is the most memorable to you ? AA: Isaac Hayes, is the main man, R.I.P. To work with him was a real joy. Iggy Pop used to be a drummer before The Stooges, so we had a great relationship when it came me playing his music. APD: Did you take part in the making of the tribute to Jeffrey Lee Pierce ? APD: What’s in your iPod right now ? (if you have one). AA: My iPod has died. (Boo Hoo) lol. APD: Can you tell us about your current work and projects ? AA: I am working on my own music at the the moment called, PRIME DATA ( www.myspace.com/aamuzik59 ), this is a solo project of mine, there is no band as yet, all my music that you find on Myspace was recorded by me and my Propellerhead Reason 4 Studio Software at home. I am currently looking for a Publishing and Record deal. There are also newer tracks that are being recorded and will appear later this year on Mypace. 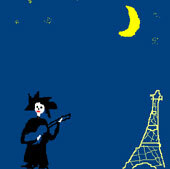 There are no live bands that I play with at this time. The Glove album was recorded at Pink Floyd's studio's in London, and alot of the mixing I think was done there, I will ask Mr Tolhurst, he may no of it, he is away on holiday at the moment but I will chat with him when he gets back. But what comes to mind is that say that you have two channels on a desk, and on one stereo pan channel you have it on the far RIGHT, and on the other stereo pan channel, you have that on the far LEFT, then what you do is pan both channels at the same time. back and forth. If you can understand that, then you are a better man than I. lol lol. MORE TECH STUFF, FOR YOU. Panning is the spread of a sound signal (either monaural or stereophonic pairs) into a new stereo or multi-channel sound field. A typical physical recording console pan control is a knob with a pointer which can be placed from the 8 o'clock dial position fully left to the 4 o'clock position fully right. Audio mixing software replaces the knob with an on-screen "virtual knob" or slider for each audio source track which functions identically to its counterpart on a physical mix console. The control knob is designed to distribute its source sounds with constant power, so that at the full left extreme, with the knob pointing to the 8 o'clock position, the sound appears in only the left channel, with all the energy going exclusively to the left channel (speaker). Conversely, when placed in the far right extreme, that is the 4 o'clock position, the sound only appears in the right. In the middle, at the 12 noon position, the sound in each channel is evenly distributed, but decreased in each channel by the law amount, thereby distributing the left and right energy equally across the two output channels, so that the overall sound power level is always constant regardless of the knob position. Because of the phantom center phenomenon, any sound placed at the 12 noon position appears to be coming from preciselybetween the left and right speakers, because the brain sees sounds equally from left and right, and concludes that the sound must be coming from a source located between the two speakers. The pan control in audio gets its name from panorama or panning action in moving image technology. The audio pan control can be used in a mix to create the impression that a source is moving from one side of the soundstage to the other, although ideally there would be timing and reverberation differences present for a more complete picture of movement within a defined space. Simple analog pan controls only change relative level; they don't add reverb to replace direct signal or change delay timing. Panning can also be used in an audio mixer to reduce or reverse the stereo width of a stereo signal. For instance, the left and right channels of a stereo source can be panned 'straight up', that is sent equally to both the left output and the right output of the mixer, creating a dual mono signal. The pan control or pan pot (panoramic potentiometer) has an internal architecture which determines how much of each source signal is sent to the two buses that are fed by the pan control. The power curve is called taper or law. Pan control law might be designed to send -4.5 dB to each bus when centered or 'straight up' or it might have -6 dB or -3 dB in the center. If the two output buses are further combined to make a mono signal, then a pan control law of -6 dB is optimum. If the two output buses are to remain stereo then a pan control law of -3 dB is optimum. Pan control law of -4.5 dB is a compromise between the two. A pan control fully rotated to one side results in the source being sent at full strength to one bus (either the left or right channel) and zero strength to the other. The pan pot is not the same as a balance control on a consumer stereo receiver. The balance control takes a stereo source and varies the relative level of the two channels. The left channel will never come out of the right speaker by the action of a balance control. A pan control can send the left channel to either the left or the right speakers or anywhere in between. Note that mixers which have stereo input channels controlled by a single pan pot are in fact using the balance control architecture in those channels, not pan control. I have had a listen to the tracks, the only one that sounds like the original album version is "Punish me with kisses" The rest of the tracks I really like them, all other songs have been remixed, (this is what it sounds like to me) I think personally that R&S should do another album, because I think that it is a great sound, Roberts voice sounds really sounds great to me these days. The tracks on the Alice in Wonderland track, I really love too. Also if you need to find out more about the tracks you should try and contact Robert and Steve, because I was only involved in the original recorded album and I think that most of the tracks had a drum machine on them anyway. nikel, merci APD et Andy! "Le poète qui dort dehors et qui dans les bras de Morphée rêve des mots d'un mort célèbre et mords ses lèvres." S.D. oulala alors ça c'est ENORME, je ne voyais pas cette question dans celles proposées alors je désespérais. Ainsi le débat sera clos. merci à vous et à lui pour avoir répondu. rien sur la 'fish-panning' method, ou sur la dernière tournée au Japon (trashing the hotel room), ce sera pour une autre fois. Thanks Mr Anderson, merci APD ! C'est sympa de nous avoir fait participer aux questions. "But the last day of Summer never felt so cold"
quel drummeur !!! la tournée 84 quel précision basse/ batterie c'est super méga carré un régal je m'en lasserais jamais ! j'ai hate de lire son avis sur les demos de the glove, on saura enfin si c'est les voix d'époque ou non qui sont sur le deluxe ! elle est sortie la traduction en français? Merci a A.P.D. pour l'entretien. Je peux m'y coller si c'est pas encore dans les tuyaux. Faut juste me dire.